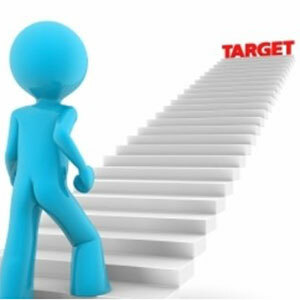 Are you “Making the Grade” with the Four C’s of Involvement? Do you involve students in either a physical or a virtual tour of a workplace or institution that aligns with a topic of study? Is it part of your practice to job shadow or interview people in your content area for a deeper understanding of the tools and processes used to communicate, share information, solve problems, produce & create, and make decisions? When launching a PBL experience, have you invited business, community, and higher education members to participate? Have you asked members of the public to serve as judges on a panel or to evaluate student/team products? Do you provide time and opportunity for students to contact and communicate with the public as part of their inquiry? Are members of the public involved in developing success skills and creating a product for public presentation? Has a community agency or business challenged your students to solve an industry-specific or community-based problem and then used their proposal as a solution to the problem? Do you have relationship with one or more public members who might co-design a PBL experience? 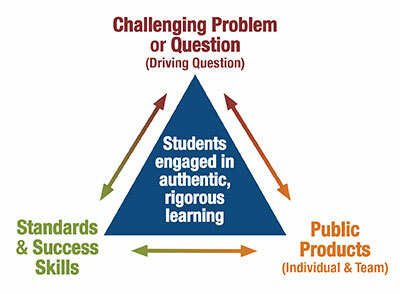 Rigor and Relevance in PBL – How do we get there? Design…Check: Now We Need Some Habitude! As I embark on another year of coaching teachers around Project Based Learning, I realize that understanding the “what and why” of PBL is only half the battle; It is time now to focus on the “how”. How do we move beyond surface-level implementation of projects toward deeply embedded inquiry-based practice? Teaching this way is not a way of “doing”, rather it is a way of “being”. 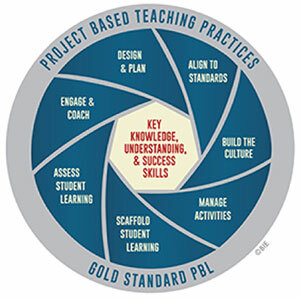 To help frame my thinking, I revisited a blog post by John Larmer and John Mergendoller where they highlight PBL teaching practices. In it, they outline 7 practices necessary when moving from design to implementation. Is the work of the project aligned to the standards? Are students self-directed risk-takers motivated to guide their own learning? Is work time balanced and productive? Is inquiry scaffolded to meet the needs of all learners? Does the learning environment embrace and act on a balanced assessment system? Are students and teachers engaged in a partnership around shared goals? Wish Our College and Career Kids Were More Ready! 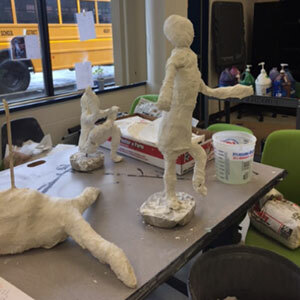 When working with Career & Technical Education (CTE) instructors in PBL I often hear the comment, “We already do projects.” This comment is true in that CTE instructors engage their students in authentic projects with students using tools and processes of the trade to produce a product. Students also apply the knowledge and skills they learn through hands-on learning experiences. Yet, these types of learning experiences are not quite PBL experiences because some key elements are absent: challenging problem or question, sustained inquiry, student voice & choice, and public product. So, I challenged CTE instructors to do what they already do but elevate their projects to include Buck Institute for Education’s (BIE) Gold Standard PBL essential project design elements. 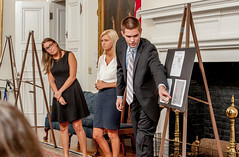 By doing so, they were able to design an authentic learning experience for their students as they prepare for their chosen career.